Every year, Clooney and his best pal Rande Gerber take a weeklong bike trip, and twins notwithstanding, and according to Gerber this year is no different. Here’s a preview of their next jaunt. He’s one of Hollywood’s best known faces—so how does superstar George Clooney keep a low profile on holiday? 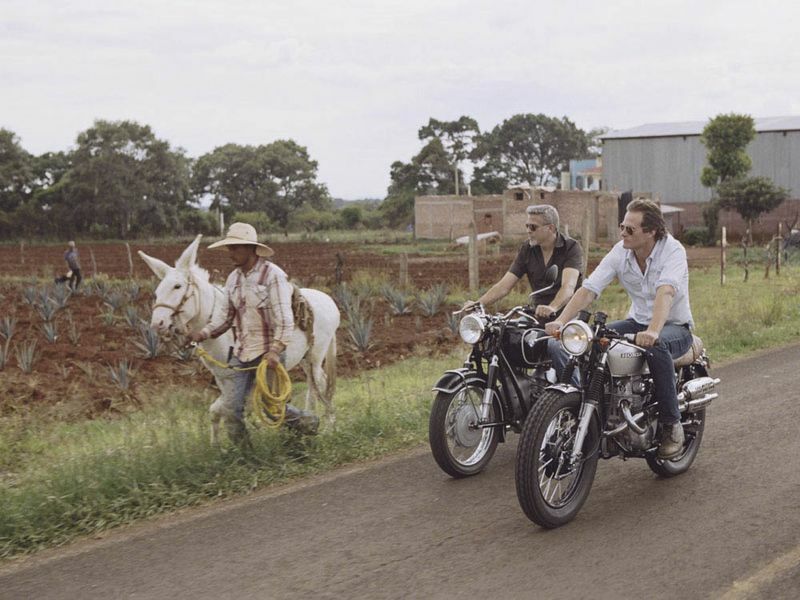 [size=14]Clooney and Gerber on a prior bike trip through Mexico. Riding alongside with him on long summer trips for the past few summers has been longtime friend Rande Gerber. The pair founded tequila business Casamigos together (which was recently [url=http://deadline.com/2017/06/ casamigos-tequila-diageo- george-clooney-rande-gerber- mike-meldman-billion-dollar- deal-1202117491/]sold in a billion-dollar deal[/url]) and share neighboring holiday homes in Mexico. In the past they’ve toured their Harley-Davidsons across America, cruised the Dolomite mountain range in Italy, and explored Corsica. Gerber, who is married to former supermodel Cindy Crawford and runs a bar and restaurant empire, explained: “Sometimes we ride for 15 hours a day. We never know where we are going—we just get up in the morning and hit the road." To help the celebrity duo find their way, I packed off to Spain with my friend Ian Smith—who happily played George Clooney to my Rande Gerber. I’m not a Hollywood A-lister, and he’s in IT, but we do know how to ride a motorcycle. Clooney and Co. have enough money to fly their bikes anywhere on the planet—but what about the rest of us? Harley-Davidson’s Authorized Tours allow riders to rent bikes at more than 200 of their showrooms around the world. A view of La Bobadilla, a hotel you could stay at on this trip. Clooney and Gerber are set to start their summer break in Málaga, home of the Picasso Museum, where Harley-Davidson runs a flagship store. When I get there, assistant Jose Maria had our bikes ready to go. We opted for a Heritage Softail Classic and a Road King—retro models designed for cool touring. One of the White Towns, or Pueblos Blancos, of Andalusia. For a low-key stay, Clooney will likely head for the hills and a hotel such as [url=https://www.lhw.com/hotel/La- Bobadilla-Royal-Hideaway-Loja- Granada-Andalucia-Spain]La Bobadilla[/url] (from $170 a night)—about halfway to Granada. It’s the kind of retreat where a publicity-shy superstar can really get away from it all. 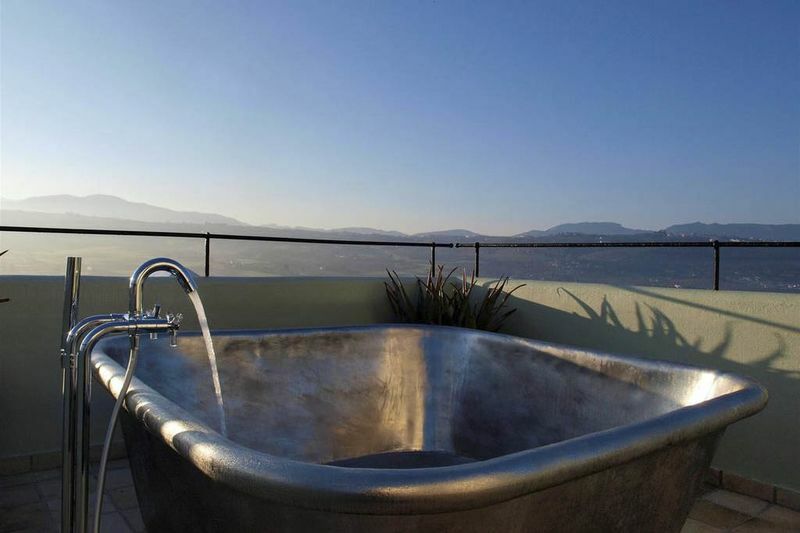 Palm trees, spa treatments, and roomy suits with a private terraces to unwind and consider the next film script. 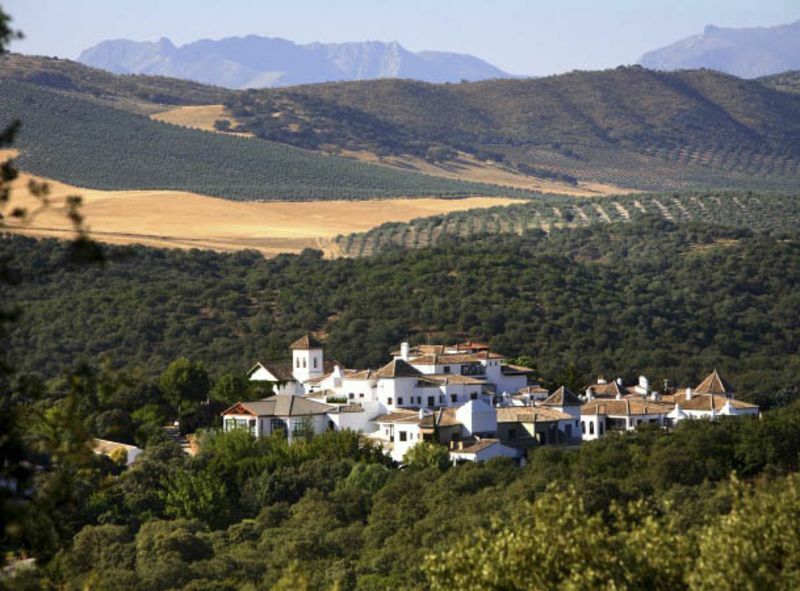 La Bobadilla is tucked away in more than 1,000-acres of olive groves, near Loja. The sense of arrival when you finally pull up on the cobbled square outside is palpable—only the grumbling of our engines disturbs the peace. 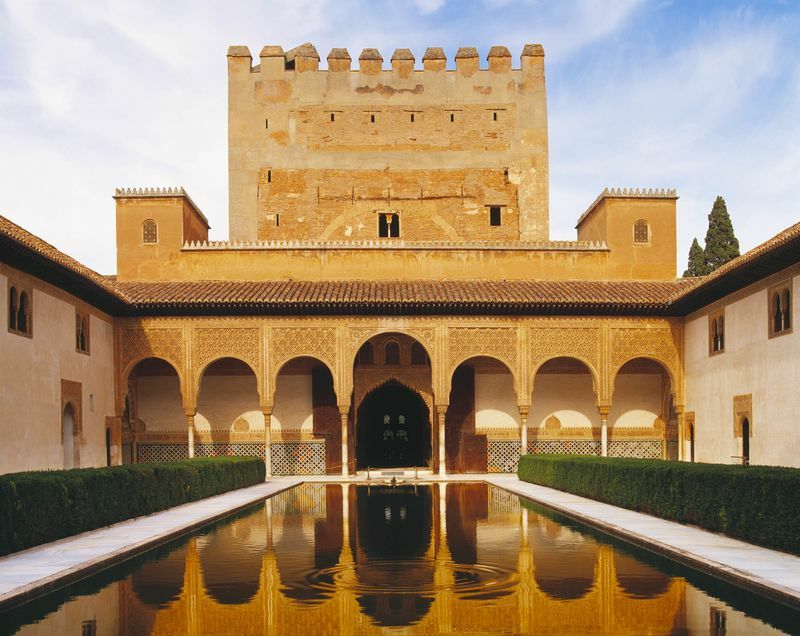 The Ocean’s 11 star can make a day trip east from here to visit the Alhambra, the iconic Moorish palace named a Unesco World Heritage Site in the heart of the ancient city of Granada. He will have to dodge the obstacle course of cafés and souvenir shops en route—plus the throng of 6,600 people who pass through the hilltop spectacular every day. 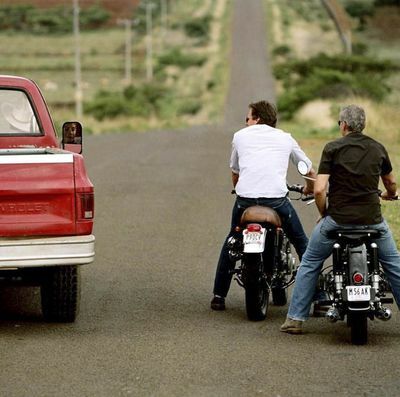 Clooney and Gerber on their Mexican ride. 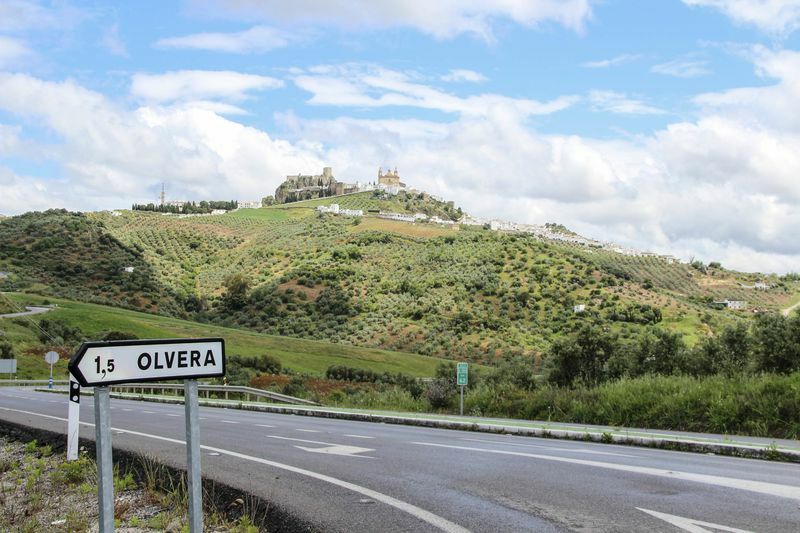 Using Ronda as a base, Clooney has a wealth of mountain roads to explore, stretching in either direction through the Grazalema and Las Nieves national parks. The orange-soaked streets of Seville are a 90-minute ride north, with a magnificent cathedral and an old-town area that feels as though it's a medieval film set. Thanks annemarie! Sounds like a great trip. Now that this guy laid out the whole itinerary for every looky-loo and paparazzo to see, Rande and George may have to pull out the maps again and plan a trip somewhere else! Telling where they're going to be is like telling thieves when you'll be on vacation. Pretty dumb - unless that's not where they were planning to go in the first place! I don't think that is the route they were going to take. Just this person's idea of where they would head. This seems like a Casamigos un-advertisement. Those pictures from their "Mexican trip"? In dress shirts, with no helmets? Must've been a short trip. We very rarely hear about where their trip was until long after; I doubt any of this is accurate. The writer used old pictures from other trips the real trip hasn't happened yet. 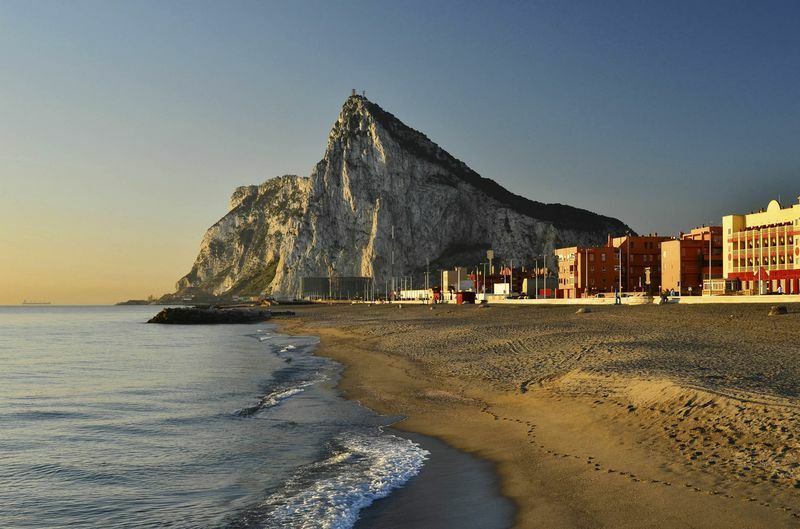 This is a travel article disguised as a George Clooney story, although if the quotes from Rande Gerber are true, then it looks like Spain may be their plan this year. Gotta be honest, I'm surprised that George would go off for a week just when his first children are so young. You'd think he'd want to be around a bit more? Also: when did they do a bike tour in Mexico? Did I miss it? They definitely got papped a year or two ago when they did the areas around Switzerland and Italy, I remember that. Katie - Have to agree. I was a bit surprised, too. Maybe he's getting too involved and Amal wants him out from underfoot for a while - or maybe he's had enough baby stuff and needs a break - after all, he's been pretty much housebound for the last few months. He may just be wondering what the hell he got himself into! This is not the life he's been used to living! I think the Mexico bike tour was around when they started Casamigos. I remember shots of them riding around Mexico inspecting the agave fields. like they will know he is gone. They won't be off to college by the time he gets back lol. The Bloomberg article looks to be part of a series Rande did with them about Casamigos which was then followed up by Bloomberg before and after the Diageo takeover and I think it was done before the babies arrived. If it happens now, I don't see George being away too long! Yes, thanks for writing what I was thinking but couldn't put in words. I know the babies won't remember if he was there or not but as they change so quickly at that age, I think it's hard for any parent to go away and leave them. His choice, obviously. I just find it odd. Maybe George wants to put some traction on just how much and how fast his life has changed. The annual trip may be one of few remnants he has left of his previous life. And maybe the trip was planned before Amal got pregnant, and he didn't want to back out (if indeed they are touring Spain). Could be a last hurrah, the last chance he will have to go tooling around on bikes for a week with his buds. Whatever the case, he will ride with new feelings, both in the departure and coming home. But would I be happy about my partner taking a week-long pleasure trip while I'm at home with two brand new babies? No, I would not. And the number of staff and/or family wouldn't make a bit of difference. Oh. Maybe George is getting out while the Alamuddin clan converges. That, I get. River Thames near to George's home have been removed. They were just Willow trees and water !! Jo - Maybe the stories about security worries weren't that farfetched. I don't think he's going to come running back to LA and hide in his house, but I do think he may have put the word out to his friends to respect his privacy. It's bad enough (from his point of view - not so bad from ours) that The DM constantly publishes drone shots of the property. I'm not sure about the legal situation here regarding that. Maybe our Guru..... pan.....will know more than me ? Regarding the motor cycle trip. in t shirts and jeans. They give NO protection for coming off the bike ! George has always seemed like a gregarious person who enjoys being surrounded by lots of friends and family. I can't imagine it's any different for Amal's family. Way2Old4Dis wrote: Oh. Maybe George is getting out while the Alamuddin clan converges. That, I get. Joanna -True jeans and tee shirts aren't the best riding gear, but at least he wears a helmet. Hopefully they'll ride safely. Donnamarie, no matter how gregarious you are everyone needs some real down time - especially new parents. That's why Nick said he and Nina wouldn't be visiting for a while. I don't think G&A hired a nurse and nannies to watch the babies so they could be free to entertain. Even when it's your own flesh and blood, guests can be tiresome - more so if they're your spouse's relatives (no matter how much you like them). IMO the old adage about visitors and fish is true! Lizzy I agree guests can be tiresome. Everyone does enjoy some downtime when you don't have to be "on". I personally like my privacy and would not enjoy houseguests constantly. From George's comments in past interviews and how he always seems to be entertaining family and friends in Como I just don't think it bothers him. I think he relishes it. I think if George is going on this bike trip it's not to get away as much as it's continuing a tradition he has had with the guys for years. Thanks Donnamarie.....glad you like my avatar. Yes Lizzy.....it's good that the bikers wear helmets. But the rest of their bodies look so vulnerable to me. Hey Ho....that's their choice ! I think he loves people too .